Temple Science ~ Amazing ..!! I always wonder how science was under existence to our Ancestors in those olden days itself. They have built “Pushpak Viman” before our wright brothers, they used “telepathy” before our Grahambell, they used Nuclear heads “Brahmastras” before our Innovations in Nuclear Science ,Televisions used by Vidura to explain the war in Mahabaratha to Drutharastra...etc., when I always ask myself a question HOW??. I always have no answer to their scientifc approach in those days . My Interest on science behind our Ancestors work made me to work on few concepts like temple science as below. It may be short ,yet worthy. Our Ancestors worshipped a formless state – NIRAKARA UPASANA since origin of life. Our sages and seers originated the practice of meditating on a physical form using pure science to build temples. Everything our ancestors did have a meaning and it is symbolic. Indian temples have a greater significance. 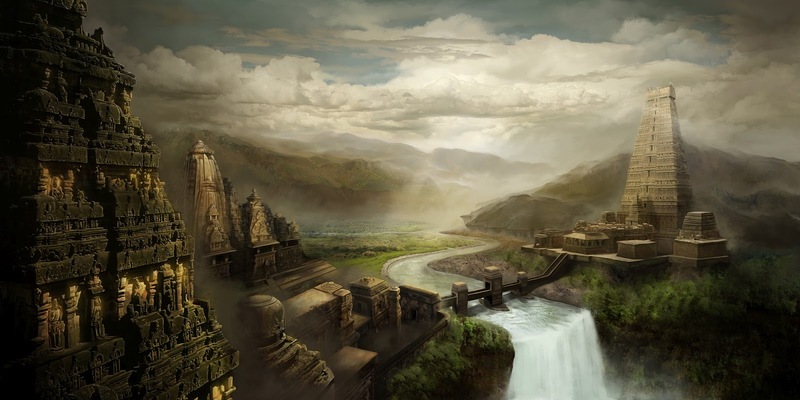 Though they were thousands of temples, only few of them got the vedic Importance. 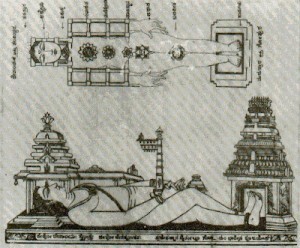 Our Saints consider only the temples constructed with rules defined in the Vasthu Shastra- a branch of science with which harmony is maintained between Universal governing force and the structure itself, hence they are more famous.They are built to a complex calculation involving physical and metaphysical elements.Hindu temples act as bridges linking both science and philosophy. Ancient temples were built not as places for prayer, but as a vortex of energy where people could transform themselves in a deeper way. A small example defined by our ancient customs is we need to sit inside the temple before coming out, otherwise the visit to the temple is considered as fruitless. It is so defined because, temples were built like a public charging places, by which people could charge themselves with an inner energy. Everything defined to do by our ancestors is science. Few observations on the activities we perform at temple shall provide us the knowledge on it. Choosing Locations:- Temples are Located strategically at a place where the positive energy is abundantly available from the magnetic and electrical wave distributions of north/south pole thrust. Moolasthanam(Garbhagriha):- This construction is as per the “Agama” texts of Hindu Religion. Idol is placed at the core centre of the temple and it is where earth’s magnetic waves are found to be maximum.There is a relation between size of idol and size of the Garbhagriha. In Scientific approach the air inside resonates with maximum amplitude to the “ OM”( Beeja Mantra). Abhisekham:- Dry stones have high electrical resistance and very little conductivity, this shows that repeated Abhisekham, Archana are essential to keep the electric charges in Garbhagriha. Hence abhishekam is done with kumkum,turmeric,sandal water,milk,etc which have high PH value and also high negative ion concentration. Negative ions are essential to fix the oxygen with haemoglobin. These negative ions are more at seashores,waterfalls and on Mountain peaks. Hence our Ancestors has chosen those areas to build some of our famous temples Tirupathi,Rameshwaram,kanyakumari. Yantras:- yantras or sri-chakras kept under the idol act as capacitors of electrical charges. They are made of copper, inscribed with vedic scripts. This copper plate absorbs earths magnetic waves and radiates it to the surroundings. Pradakshinam:- When a person regularly visits temple and walks clockwise around the Main Idol, he recieves the beamed magnetic waves and his body absorbs it. On a regular visit he gains more positive energy through this and it is all required for a healthy life. 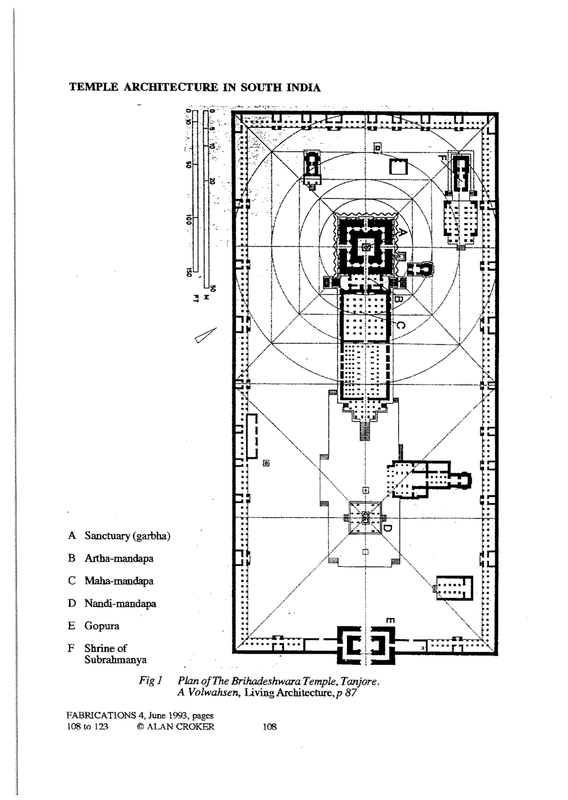 Sanctum Structure:- It is closed on 3 sides increasing the effect of energy. Idol is always placed first before building the temple. It is the center of all forces. Theertham:- This holy water is shared to the devotees in 3 spoons. It got a high medicinal value, it is infact collected when idol is washed with water. Here water is charged with the magnetic radiations of idol. Mantras:- Mantras are the sound of different frequencies and meters in permutation and combination that are evolved from vocal chords. Our body is considered as yanthra, the technique with which sound is evolved is tanthra and the sound is mantra. The vibrations caused due to sound is of different frequencies and meter correspond to the different dieties.